June 2018 – United Way’s Steps to Success framework focuses on nine critical milestones on the path to prosperity. This month, as we reach the end of the school year, we’re focusing on the Grade-level Reading by Third Grade Step. 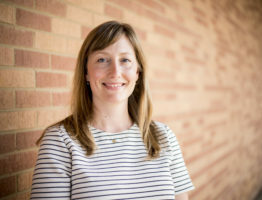 Bekah Holbrook, United Way’s Director of Education, covers the issue of literacy from all angles in her latest blog. Read more. 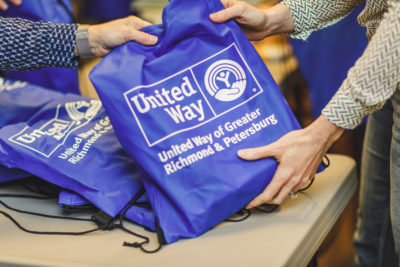 United Way proudly funds seven agencies that support third grade reading. We invite you to hear from two of them. We talked to Stephanie Bassett, Director of Education at Peter Paul Development Center, to learn about her work. Peter Paul’s Summer Promise program provides students with critical learning opportunities during the summer months. Read more. Betsy Peters, Senior Vice President of Youth Development of YMCA of Greater Richmond, joined us to talk about her work in supporting early literacy. Read more. What: Volunteer to help children build literacy skills by reading to students and encouraging them to keep reading throughout the summer. When: Wednesday, June 13, 2018, 9:45-11:15 a.m.
What: Volunteer to colelct, sort and count donated school supplies for literacy kits for young students. 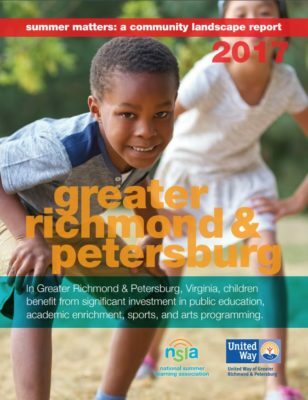 Don’t miss United Way’s new report on summer learning programs in the Richmond region. We partnered with the National Summer Learning Association to conduct a landscape assessment of all summer learning opportunities in the area. Check it out here.